Memphis, Tenn. – The Memphis Grizzlies today announced “Grizz’s Garage Sale” – a one-day only sale with 15 seasons of T-shirts, hats, photos, furniture, autographed memorabilia, promotional giveaways and more up for grabs with all proceeds benefiting the lifesaving work done at St. Jude Children’s Research Hospital. 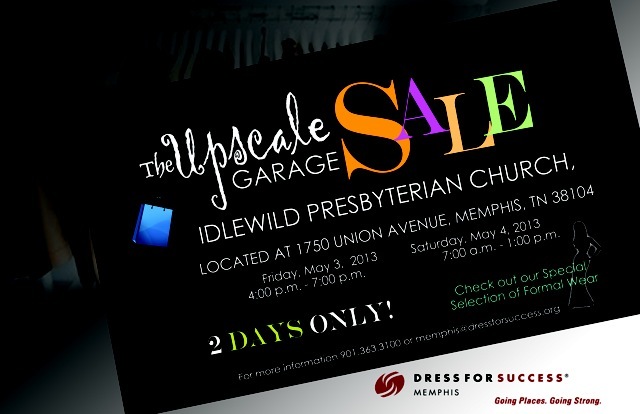 “Grizz’s Garage Sale” will be on Saturday, April 16 from 9 a.m. – 2 p.m. Select T-shirts will start as low as $1, and with over 6,000 pieces available there has never been a better time to stock up on current and throwback Grizz items. MVP Season Ticket Holder Early Birds are welcomed starting at 8 a.m. Grizz fans that can’t make it to FedExForum for Grizz’s Garage Sale will still have a chance to support St. Jude by purchasing select, rare memorabilia – including the Player’s Lounge pool table – via online auctions by visiting http://cp.mcafee.com/d/1jWVIe3wUp4zqb3VEVjd7b2bPVISyyyyM-C-UOrhhhhovjshhdCPpJnRlysGjxN6FASOCPslKM_olppuKCqevQld78UwUaImod78GgJowaSRBdxQtp1AxFISrdCM0h7oWh-CD_TYh-ASU_O-6PrRXCPtPqpJUTsTsSyrh or texting “garage sale” to 52182. Parking will be free day-of-event in the Toyota Parking Garage. All attendees may enter through the FedExForum Grand Lobby. Additional ways to support St. Jude this season include the ongoing “Grizz Assists for St. Jude” program spearheaded by St. Jude Ambassadors Mike Conley and Marc Gasol. The campaign is operated on the PLEDGE IT platform to place a dollar amount on each recorded Grizzlies team assist during games through April 5, resulting in an overall performance-based donation. Campaign supporters are asked to pledge any customizable amount of their preference. The total of all pledges made per assist will then be applied directly to the total amount of team assists to create one donation to St. Jude. Fans can register their pledges at http://cp.mcafee.com/d/1jWVIq6wUSyM-qekPhOMyY-rdEEEEIfFLKcCQkkkm7QT4kjpISrlZloDaAUshGpdIFIT5rIfS5mmnHFCzDZ5jhOe8e2H5C3hOaAbm82JJpjot7mgp8qrdCPpIDeqR4INo_Q2fODM072cp2wEvbW6PrRXCPtPqpJUTsTsSyrh. -Party on the Plaza featuring music, inflatable games, face painters and more starting at 5 p.m.
Postgame concert from former Newsboys’ standoutPeter Furler (Discounted Group Tickets are available). –Grizzlies 5K at 9 a.m. Starting at $45, race packages are available for the inaugural Memphis Grizzlies 5K on Saturday, April 9 at 9 a.m. before the Grizzlies vs. Warriors home game finale. Packages include a race bib, commemorative T-shirt and a ticket to the first home game of the Grizzlies’ 2016 NBA Playoffs. We are inviting you to attend and participate in Knowledge Tree’s first ever Teacher Swap! Reserve a table for $20.00 at any participating store by contacting the store of your choosing. 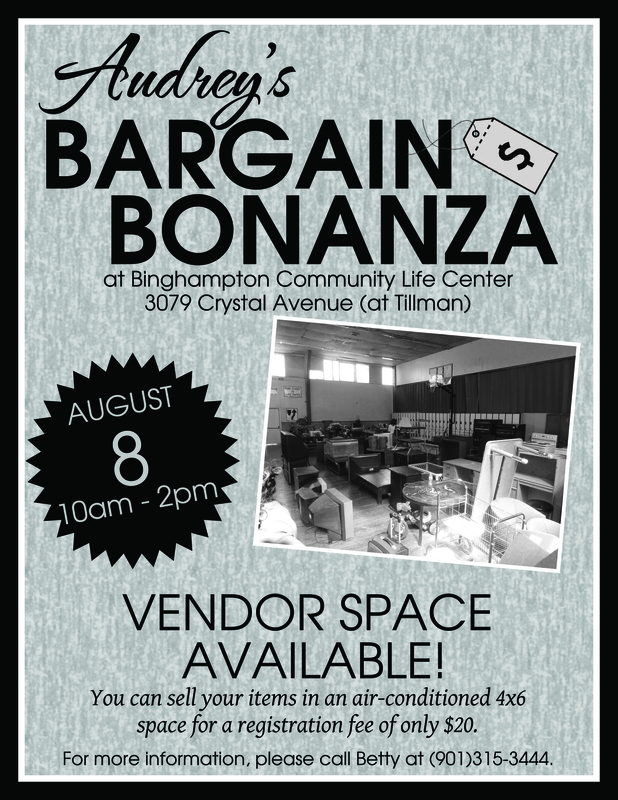 Bring your unneeded classroom decorations, supplies, and/or resources on the specified date to sell to other teachers. During the teacher swap our stores will be holding their annual Spring Clearance Sale, with savings up to 75% off! 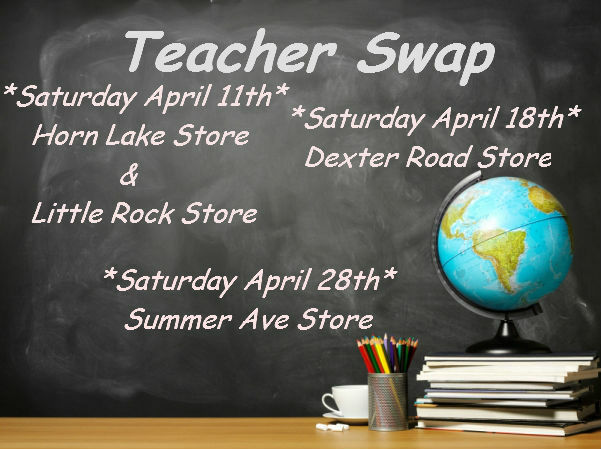 Whether buying or selling, come check out our Teacher Swap! PLEASANT PLACES NEIGHBORHOOD YARD SALE, 50 or more families will participate. Sponsored by Mustard Seed, Inc.
Wesleyan Hill United Methodist Church, 390 S. Yates, will have its rummage sale Saturday, June 1st from 8:00 am – 12 noon. For information, call Gordon Robertson at 901-766-6224.